Whether you have purchased your vehicle from us or not, O'Brien Toyota is your #1 destination for auto service and repair in Indianapolis, IN. Our team of specially trained technicians has the know-how and tools at their disposal that enable them to provide quality repairs and maintenance for all of our clients during every visit. If you’re in need of service or repair for your vehicle, you can conveniently schedule your next service appointment online, and we’ll contact you to confirm the details! Is it time to replace your car battery? We can help with that too. 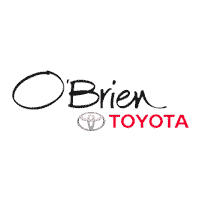 We’re proud to serve our valued customers from Fishers, Carmel, Greenwood and throughout the Indianapolis area.Here at O'Brien Toyota, we also offer a comprehensive selection of OEM Toyota parts and accessories, so you can touch up or accessorize your vehicle exactly how you want to do so. Plus, if you’re looking for a part or accessory that we don’t have in our current inventory, we’ll gladly locate that item and order it for you! You have the option of picking it up at our dealership, or we can have it delivered directly to you.